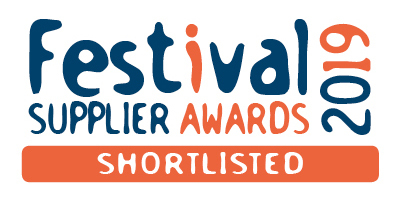 We’re thrilled to be shortlisted for Green Supplier Award in the Festival Supplier Awards 2019! We’ve been working hard to offer solutions through our ticket selling platform that help more events and organisers introduce sustainable ways and it’s fab to be recognised for this. Our carbon calculator, eco-bonds and coach package ticketing are just three simple yet hugely effective options that we can build into the ticket selling process to improve the green credentials of an event. No point talking the talk if you don’t walk the walk either - we’re making moves to ban pointless plastic in the office and will be posting more news about our internal sustainability policies in the New Year. We’ve got everything crossed for the Festival Supplier Awards - watch this space!